Since the return of RPGTV cameras to Monmore on Thursday evenings, the kennels have been in good form for the TV audiences. The first night saw us score a brilliant 4 timer with some superb performances in tough races. Holycross Angel led home kennel mate Skyfall Silver in an Puppy Open contest, recording 28.08 (calc). Gracies Rocket took a heat of the Owner Bonus series in a fast 28.48 (calc). Malbay Balotelli set a quick early pace and then held on to take a tough E1 race before Fred The Shred was ultra impressive, coming from last to first in an A1 affair. Last Thursday, in front of the cameras, was so close to being a spectacular night; we had a fine hat-trick of winners but also 6 second place finishes! As Sweet started the night off as she took an A3 contest, Evanta Nemo then took advantage of the dire going to finish strongly and take the A1. The hat-trick was completed in fine fashion, as Klockwork Kannon took the 210m Open contest, just 1 spot off the existing Track Record. With calculated time, he broke it by 19 spots! 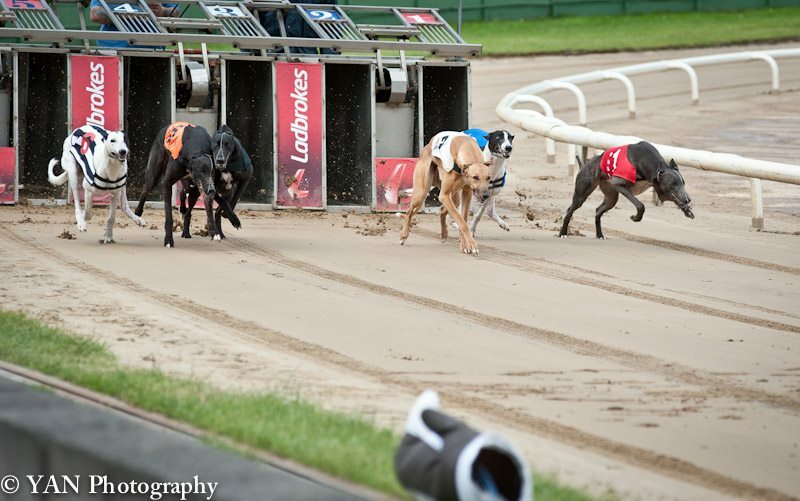 This week saw us hit another couple of nice winners as Malbay Balotelli continued his fine form, taking a top S1 contest in a flying 37.78 (calc) before Fred The Shred was scintillating in scoring in the A1, recording a brilliant 28.17 (calc) Both dogs are flying at the moment. Away from Monmore, Klockwork Kannon and Sameagainplease were 1-2 in the RPGTV Sprint Heats at Towcester and both line up in next week’s Final. On the same card we have entered Bog Brae, Bert The Flirt and Klockwork Konk.